Avida Land gives young professionals more reason to celebrate as they get closer to their dream of enjoying true personal independence in a home they can call their own. In the upcoming “Project Homepossible: Be Indie-fied” event to be held on August 30-September 1 at the New Glorietta Activity Center, the Ayala Land Inc. subsidiary presents special payment terms that make an Avida home truly affordable to anyone who wants to take the first step toward the “Indie” life of being empowered, and proudly independent. 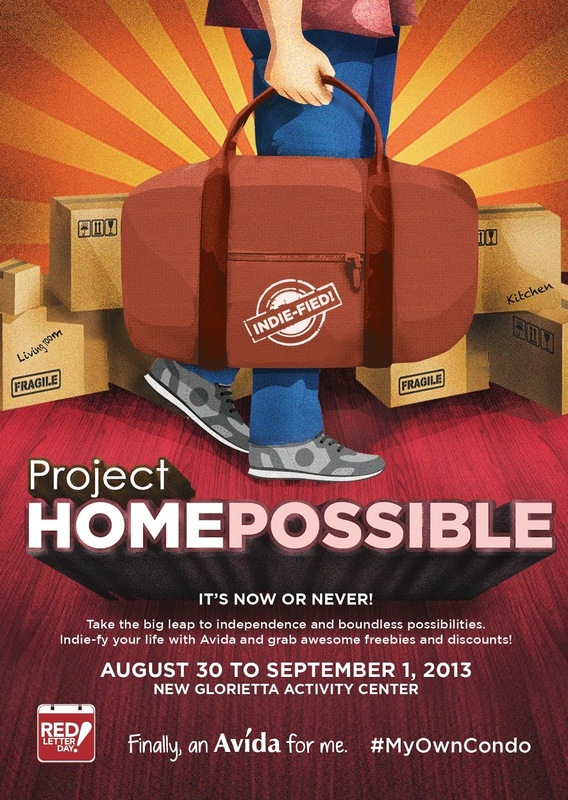 “Project Homepossible: Be Indie-fied” is a perfect opportunity for interested homebuyers and curious onlookers alike to see for themselves how they, too, can be saying the line “Finally, an Avida for me” if they only set their mind to it. Participants will be given free event passports that will give them access to different booths offering various freebies, special bank loan rates as well as relevant materials pertaining to Avida’s affordable properties. Special discounts and gifts from Avida and participating sponsors will also be given to those who will reserve a unit during the three-day event. “Project Homepossible: Be Indie-fied” is a sequel to the highly successful Homepossible event held last March, which attracted homebuyers for Avida’s various residential developments across the country. For more information visit www.avidaland.com. Access the “Are You Ready to Own a Condo?” Facebook app, visit www.facebook.com/AvidaLandCorp. or call (+632) 848 5200 (within Metro Manila) and 1-800-10 848 5200 (outside Metro Manila).